Where is this sofa bed made? This sofa bed is made in Sydney by experienced craftsmen to our exact specification using only quality materials. What is your warranty on this sofa bed? This sofa bed carries a 10 year warranty on its frame, a lifetime warranty on the premium Dunlop seat cushion foam (if used) and 3 year warranty on the sofa bed mechanism and mattress. Does the price include piping? Piping is great for accentuating edges of sofa and cushions. You can add self-piping (piping in same fabric as sofa) to any sofa bed at no additional cost. If you would like piping in another fabric, we will need a little extra fabric for piping. Please contact us for exact price. Can I select fabric later? Yes! Feel free to take your time choosing your fabric. You can either select “Decide later” or call our friendly staff to assist you further. You have up to a week to select your fabric without delaying the completion date; provided that fabric is in stock. Need more time? No problem! 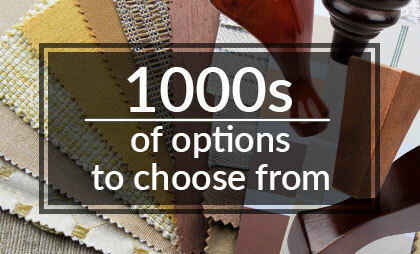 We can put your order on hold to help you select the perfect upholstery for your order. 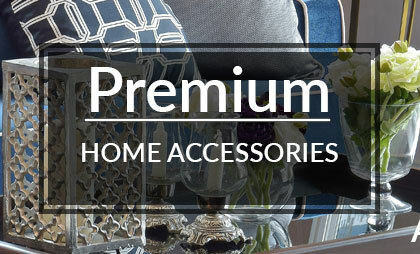 Do you have fabrics other than those shown on the website? Absolutely! We house a vast collection of fabrics in our showroom. Alternatively, you can select a fabric at the showroom of your local fabric supplier, such as Warwick Fabrics, Zepel, and others. Please let us know your address, and we can find the location of your nearest fabric showroom. Can you send samples of the fabric I’m interested in? Definitely! Please let us know the fabrics you’re interested in, and we will arrange for the fabric samples to be posted to you. Is online picture of this fabric exactly shows the colour I am going to receive? Unfortunately, online images rarely show the exact colour of the fabric, as the colour will depend on your monitor settings, lighting conditions during photoshoot, website graphic compression, amount of shine in fabric that may distort the image, etc. We strongly recommend viewing the fabric in person, before making the final decision. Can any of the sofas be made as a sofa bed? Yes. All you have to do is select a style of sofa that you like, and we can have it made into a sofa bed with a highly supportive spring mattress. Some models may require a small adjustment to fit the bedding mechanism. If so, we will notify you of any changes. How comfortable and/or supportive are the sofa bed mattresses? At Strictly Comfort, we believe that sofa beds should feel like real beds. That’s why we use only the best spring mattresses, which provide the utmost support and luxurious comfort. How are the mattresses different? Our 4-inch spring mattress is our entry-level choice, perfect for unexpected guests, short stays, or young kids. 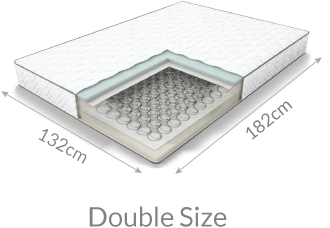 Our 6-inch mattresses, on the other hand offer additional support, and are suitable for more frequent use by adults and seniors alike. 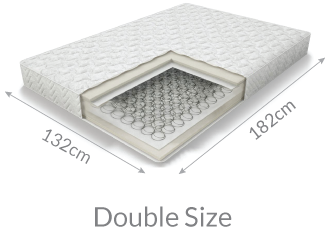 Looking for a top of the line mattress? 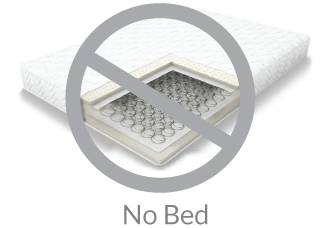 Our 6-inch mattress with a gel-infused memory foam comfort layer is just the thing for you. I have very little space in my room; can I have this sofa bed without arms? Many customers choose to have either one arm or no arms, so that their sofa bed will fit into a tight space. Can I choose different legs? Yes, we have a collection of over 40 timber and metal legs. Want more? There are over 100 more legs available in our extended collection, at an additional fee. Most sofa beds can be fitted with legs of up to 12 cm high. Can I add piping or studs to my sofa bed to make it more unique? You are welcome to add piping or studs to any of our sofa beds for that extra ‘wow’ factor. Can I pick up this sofa bed from your showroom? Yes, feel free to collect your new sofa bed directly from our showroom located in Cremorne, NSW. Yes, we deliver interstate on weekly basis. Please enquire via phone or e-mail for details. Create your perfect sofa bed! The fresh, modern lines of the Prada Double Sofa Bed make it the perfect option for studio-type living or small areas where a bulky lounge may appear dominant. Its slimline arms and elevated base create a visual sense of space. Available in an endless range of fabrics and leathers, and with a variety of comfortable mattresses to choose from, there’s sure to be a Prada sofabed perfect for you. With endless customisation options, we are dedicated to helping you create your dream sofa bed. 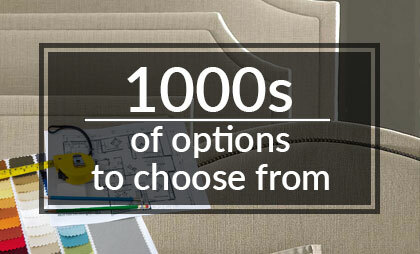 morestrictly Select from a wide range of existing designs or specify your own modifications to make your sofa bed truly unique. With more than 1000 fabrics to choose from, we are confident that you will find a material suit your space. morestrictly Our wide range of well-priced fabrics makes it easy to create a stylish look that compliments your room. Alternatively, you can choose to supply your own fabric, and we’ll happily use it to upholster your new sofa bed. This sofa bed is skilfully crafted to our strict requirements right here in Sydney. morestrictly Locally made sofa beds not only give you the opportunity to modify and customise pre-existing designs, but also provide high quality comfort and support, with the added bonus of short lead times. All of our handcrafted sofa beds are backed by a 10 year guarantee for sofa structure and 3 year guarantee for bedding mechanism. morestrictly This ensures that your sofa bed will withstand the pressure of everyday use and provide you sustained comfort and support for years to come. Our seat cushions contain Premium Dunlop Enduro foam, backed by a Lifetime guarantee. morestrictly This will help your sofa to retain its shape and provide you with lasting comfort over the years. If you’re looking for a softer or firmer feel, our Premium seat fillings range from Pocket Springs to a Feather fill, to satisfy every preference. Please note: All dimensions are approximate and subject to normal construction variances and tolerances. We offer the widest range of custom sizes in Sydney! Can’t find what you are looking for? Many more configurations available in store! Feel free to take time choosing your fabric after you have placed the order. You have up to a week to select your fabric without delaying the completion date. If a week has passed, we will place your order on hold to help you select the perfect upholstery for your item. Final price may change depending on the selected fabric. We can also send Fabric Samples to you directly! If you can’t find the right fabric in our wide range, you are welcome to supply your own fabric, or let us know the name of the fabric maker, and we might be able to source it directly from them. Before supplying your own fabric, please let us know the specifications of the material you have chosen, so that we may provide you the exact metres required for your order. Can’t find what you are looking for? Many more fabrics available instore! Our countless fabric options and combinations are guaranteed to impress. morestrictly Our broad range makes it simple for you to select a fabric you’ll love in any price range. If you already have a particular fabric in mind, you can bring it to us, and we can use it to upholster your new sofa bed! In a bit of a squeeze? Our customisable sofa beds can be made to size, solving any spatial problems. morestrictly Simply bring in the measurements you require, and our skilled craftsmen will create a sofa bed perfectly tailored to your needs. We will let you know of any minimum requirement for the bedding mechanism to fit inside the sofa. Our sofa beds can be fitted with an extensive range of metal and timber legs. morestrictly Sofa beds can normally be fitted with legs of up to 12cm high, so whether you’re looking for a tall, modern look or a traditional timber finish, we’re sure to have the legs to suit your sofa bed. Browse through our extensive range of legs online. This sofa bed seat cushions are filled with premium Dunlop foam, produced by Australia’s number 1 foam manufacturer. morestrictly With a variety of seating options – ranging from plush Luxura foam and feather wrapped cushions to a firmer, more supportive Enduro foam or pocket springs – we’re sure to have a cushion for your comfort. Scatter cushions are an excellent way to bring your sofa bed – and your room – to life. morestrictly Adding contrasting scatter cushions to your sofa bed will accentuate your style and can tie other elements of your room together.